Our physiotherapy team at Bristol Fitness & Wellbeing Gym are all experienced clinicians, members of the Chartered Society of Physiotherapy and are registered with the Health Professions Council. So you can relax in the knowledge you're in the hands of the experts. 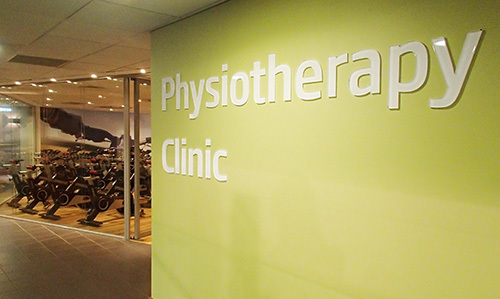 Why choose Nuffield Health Bristol Fitness & Wellbeing Gym for your physiotherapy? Our Bristol Fitness & Wellbeing Gym offers patients 4 recently refurbished, private physiotherapy rooms, as well as access to a fully equipped gym with high quality rehabilitation equipment and 2 exercise studios. We have a large team of physiotherapists, (see profiles below), with many years of experience and we are able to offer the high standards of care. Our facilities and knowledge of rehabilitation mean we are able to ensure our patients make a full recovery and a safe return to work, sports and hobbies. Follow up appointment: £40 non-member / £32 member (30 minutes). I completed my Physiotherapy degree at Cardiff University in 2000. In 2006 I completed a two year post-graduate certificate in manual therapy at Curtin University in Australia and I also became a full member of the Society of Orthopaedic Medicine (SOM). During my Physiotherapy career I have worked extensively within the NHS and the private sector. I have a wealth of experience in the treatment of both sports specific and non-sporting injuries, including spinal pain. Previous roles have included working at a specialist knee injury clinic, the Jonathan Webb Clinic. There, I developed a breadth of experience in the assessment and rehabilitation of both routine and complex knee injuries. In addition during another previous post I gained significant experience in the treatment of whiplash related disorders and I was involved in the creation of a successful telephone triage service for musculoskeletal injuries. I completed my physiotherapy training at Bath University in 1994. For the past 15 years I have specialised in musculoskeletal and orthopaedic physiotherapy. I have worked closely with orthopaedic consultants in both the NHS and private sectors rehabilitating patients following various lower limb operations and with treating back and neck conditions. Since qualifying in 2009, I have worked in a range of musculoskeletal settings within both the public and private sector. In that time I have become skilled at treating tendinopathies, sports injuries, back and neck pain, post-surgical rehabilitation and general musculoskeletal conditions. I take a holistic approach of hands-on manual therapy and soft-tissue techniques, consolidated with evidence-based exercise prescription and guided patient self-management. I am also passionate about health promotion for long-term improvement and injury prevention. Since graduating from Cardiff University I have worked in the NHS and private sector in a variety of musculoskeletal settings, including outpatients, sports clinics, hydrotherapy and orthopaedics. I have a great deal of experience in these areas, and always strive to gain further knowledge and skills in order to provide a comprehensive service to my clients. I graduated in 2005 with an Honours degree in Physiotherapy and after completing 2 years in the NHS I moved to New Zealand to work in private practice. I worked closely with elite PGA golfers, youth academy footballers and tennis players. I have also provided physiotherapy support for the New Zealand ice hockey team and the All Blacks rugby team at an international level. On returning to the UK I have continued to work in the private sector, designing and implementing individualised treatment programmes for each client. I have experience in running analysis and biomechanical screening for injury prevention. I have a keen interest in spinal manual therapy, hip disorders and injuries of the nervous system and I am currently completing a Master’s degree in Advanced Manipulative Physiotherapy. After graduating in 2006 from Oxford Brookes University I have worked for both the NHS and private sector in a variety of musculoskeletal settings. These ranged from GP clinics to a large London hospital. This role also gave me the opportunity to teach university students and newly qualified graduates. During my physiotherapy career I have developed skills in the assessment and treatment of sporting and non-sporting injuries, post-operative rehabilitation, soft tissue injuries, low back and neck pain and antenatal/ postnatal patients. Whilst working in the NHS I developed a specialist interest in vestibular rehabilitation and treating individuals with dizziness disorders such as positional vertigo. I use a range of treatment techniques including hands on manual therapy, exercise prescription and advice as part of an individualised treatment plan. Outside of work I am a keen swimmer and run regularly, most recently while pushing my double running pram! I graduated from the University of the West of England in 2007 and have worked for the NHS over the last 7 years. I have specialised in musculoskeletal physiotherapy for the last 5 years treating multiple body dysfunctions and complex injuries. I use a mixture of manual physiotherapy techniques including Maitland joint mobilisations and Mulligan movement facilitation and have been on McKenzie courses for spinal pain which allows me to teach my patients self-management techniques that can reduce future episodes of pain and promote long term back care. I have experience with Hydrotherapy and found the use of water based exercises most effective in the rehabilitation of orthopaedic injuries and rheumatological disorders. I really enjoy the variety of conditions that patients can present with and I am constantly using the latest medical research to deliver the most effective treatment techniques.